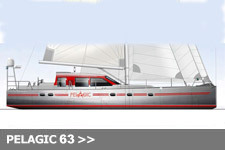 The Pelagic 56 goes back to where it all began in 1987 with the original Pelagic 54. 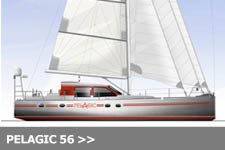 This design has evolved from a prototype expedition boat into a family cruiser version. Rather than increase the accommodation it is kept minimal for a family of four or two couples in an optimum layout. 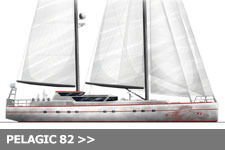 The Pelagic requirements are maintained with the ability to reduce draft via a centerboard, twin skegs supporting twin fixed rudders and of course twin engines of 60 HP each. 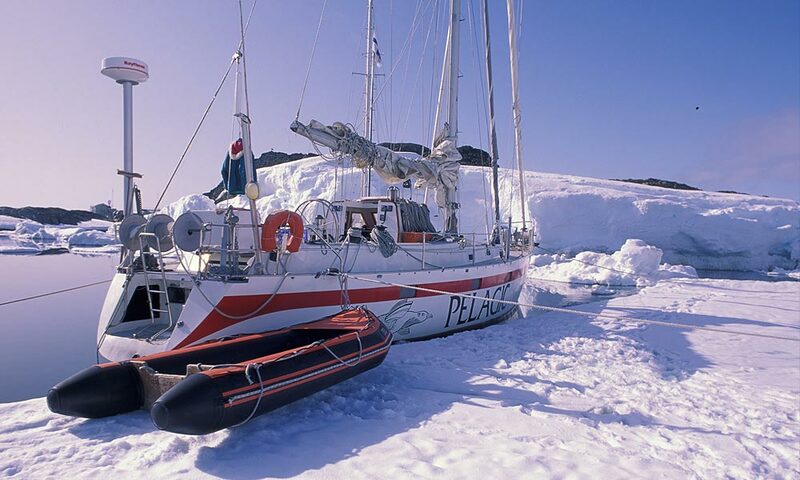 A walk in forepeak will make access easy at anchor or at sea for equipment and food stores. 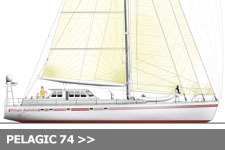 A practical cockpit and partial cover in the cutty will make for a comfortable ride in rough conditions and long periods at sea. 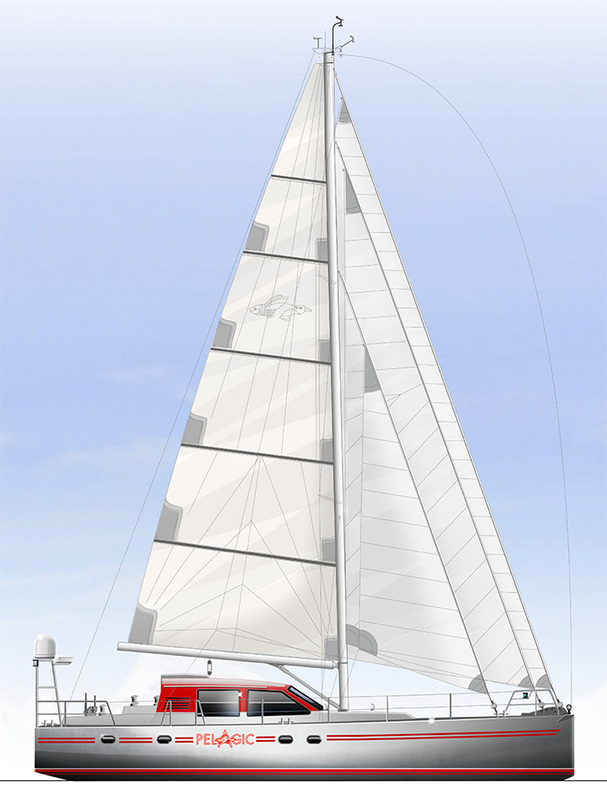 A simple cutter rig with three furled headsails and four reefs in the fully battened mainsail covers the full wind range from light to storm conditions, always ready to go. This is a go anywhere design with ultra simple systems that make reliability a given.